Sri Lankan fast bowler Suranga Lakmal picked up his second Test five-for of the summer in Brisbane, and his 5-75 against Australia earns him Friday’s Turbo Bowler award, writes ANITHA MADIKIZELA. 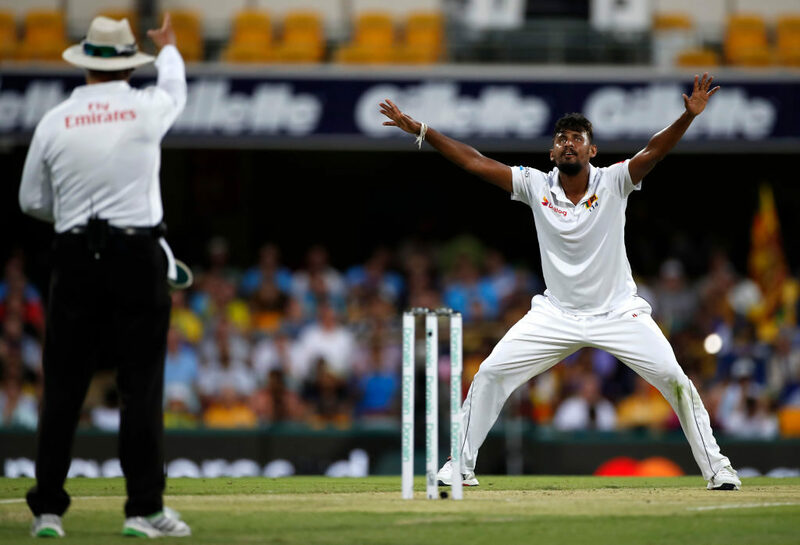 Lakmal was sensational on day two of the first Test against Australia at the Gabba as he bagged 5-75 to restrict the home team to 323 all out, following Sri Lanka’s initial 144 all out in the first innings. The seamer picked up vital wickets throughout the innings as Australia looked to stamp their dominance on the encounter, thanks to half-centuries from South African-born Marnus Labuschagne and Australia’s co-vice captain Travis Head. Lakmal collected the wicket of opener Joe Burns (15 off 30 balls, 3×4) in the latter stages of day one before returning on day two to get rid of nightwatchman Nathan Lyon for just one run from 23 deliveries. The Aussies fought back with a watchful 166-run partnership between Labuschagne (81 off 150 balls, 3×4) and Head (84 off 187 balls, 10×4), but it was Lakmal who had the last laugh as he returned to dismiss Travis Head with a full delivery that trapped the left-hander plumb in front of the wickets. Lakmal then put on a masterclass as he got rid of left-hander Kurtis Patterson (30 off 82 balls, 3×4) by also trapping the debutant LBW. He rounded off his onslaught with the wicket of Tim Paine with the very next delivery – ensuring the Aussie captain began the series with a golden duck. His 5-75 is only the second-best of his career after the 5-54 he picked up in the last Test he played, which was against New Zealand in Christchurch on Boxing Day. Sri Lanka still has a mountain to climb if they plan on rescuing a positive result in the encounter. They ended the day with the dismissal of Dimuth Karunaratne for just six runs with the score on 17-1. Lahiru Thirimanne (3 not out) will resume on Saturday with a new partner as the Islanders hope to eat away at their 162-run deficit and post a defendable target in the upcoming days.